Being tall gives you an opportunity to tower over others. It automatically increases your self confidence and gait. If you feel conscious about not been tall enough and resort to higher heels to give an appearance of height, then you have come to the right place. If you thought that there is no more scope to increase your height since you are past your growing years, think again. An increase in height is a response to hormonal activity in the body. There are remedies in Ayurveda to increase your height naturally. Surprised? Read on to find out more. How does one grow tall? An increase in height is induced by the human growth hormone which is produced in the pituitary gland. The level of the growth hormone in our body is high until adolescence, during which we grow in height. Once the adolescent years go by, the human growth hormone level starts dropping in the body, thereby stopping growth after that. Women normally stop growing by 21 while men tend to grow until they are 25. However, these are just the average ages. It is possible for women to increase their height upto the age of 25 and men upto the age of 27-30. How can Ayurveda Help in Increasing Height? If you could find a way to increase the human growth hormone levels in the body, would it not continue to increase your height? Just as how you need to feed a plant the right amount of water, sunlight and nutrients to grow, the human body also needs the right nutrients that will stimulate growth in the body. With the correct combination of food and natural ayurvedic supplements, it is possible to stimulate the body to grow in height, way past the adolescent age. According to ayurveda, there are a number of herbs which have been proven to stimulate the production of growth hormone to help increase height. 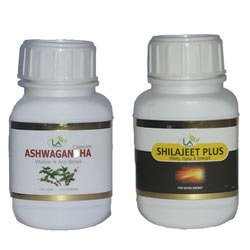 Notable among them are – Shilajit, Ashwagandha, Guggul, Shatavari, Arjuna and Yashtimadhu. Ayurvedic stores stock these herbs in their natural form or in the form of capsules. Do consult a qualified ayurvedic practitioner in case you plan to take more than one of these herbs together. Suvarna Prashana – This is a therapy meant for growing kids, upto the age of 16. It helps them attain physical and mental development. Take the supplements, have a balanced diet and do the following exercises ten times a day and your height will see an improvement. Mountain pose– Stand upright. Inhale deeply and lift your arms up and bring them together and hold them in a salutation pose above your head. Lift your face slightly and stand on your toes, stretching the entire body backwards. Exhale and go back to attention position. This exercise helps you gain height. Stretching exercises that work your spine are also beneficial. The cobra stretch is one such exercise. Lie face down with your palm tucked under your shoulders. Lift your upper body away from the floor by arching your spine up and lifting your chin. The spine accounts for 35% of your height and doing this exercise will help your height gain incredibly. Suryanamaskar or Sun Salutation is another effective exercise to do in order to increase the height. In order to grow in height, you need to feed the body the right kind of food. Eat foods rich in Vitamin A since it is essential for cartilage development. Add orange, papaya, cod liver oil and egg yolks to your diet to increase height. Proteins are essential for growth of tissues and building the body. They can be derived from milk, meat and soya. Minerals like zinc, calcium and iron are needed for bone development, which ultimately gives you your height. So stock up on foods rich in these minerals. Try including lots of green leafy vegetables, fruits and milk in your diet. Your spine is what gives you most of your height. So keep your posture upright all the time. Do not forget to do stretching exercises if you want to increase your height. Couple intake of ayurvedic supplements with vigorous physical activity and you could very well be on your way to gaining a couple of inches more in height.